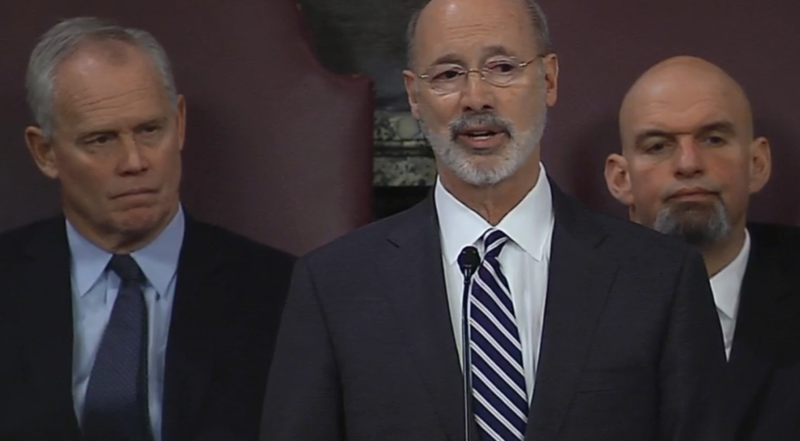 Home > Blog > Allies for Children Responds to Governor Wolf’s 2019-20 Proposed Budget. Allies for Children thanks the Governor for his commitment to education and health programs benefiting children in Allegheny County and across the Commonwealth. However, to adequately meet the needs of our children, significant resources above what has been proposed are required. We call upon the General Assembly to go above and beyond the Governor’s investments to bring equity and access to the future generation of Pennsylvanians. “While the proposed increases will help, large gaps still remain. We urge the General Assembly to go beyond the Governor’s proposed budget. Investing in children’s health and education is smart for the community and the best way to guarantee our children succeed,” said Patrick Dowd, Executive Director, Allies for Children. Allies for Children is a partner in the PA Schools Work campaign, a coalition of organizations from across Pennsylvania representing teachers and other educators; urban, suburban and rural communities; and parents and other community members working together to advocate for PA public schools, their students and the communities they serve. Allies for Children supports the Governor’s investment in career and technical education, and recognizes that additional resources for Basic Education Funding and Special Education are greatly needed. “By building upon last year’s allocation, the Governor is working towards ensuring all students have access to high quality career and technical education programming and are on a pathway that will prepare them for the jobs of today and tomorrow. We also believe that additional resources must be dedicated to Basic Education and Special Education. Without significant increases in these programs, school districts are left to foot the bill through local property taxes, which continue to increase for many communities to cover these rising costs,” said Jamie Baxter, Education Policy Director, Allies for Children. Allies for Children looks forward to working with our community and state-wide partners in advocating for significant resources that benefit the health and well-being of all children. As the budget process progresses, we welcome the opportunity to provide input to our legislators about how specific allocations will benefit children in Southwestern Pennsylvania. Allies for Children, a nonpartisan nonprofit, serves as a bold voice for policy and practice changes that improve the wellbeing of all children and youth in Allegheny County, especially those with the greatest need. For more information, visit www.alliesforchildren.org.